You are here: Home / My Books / eBook: Do You Know What You’re Eating? 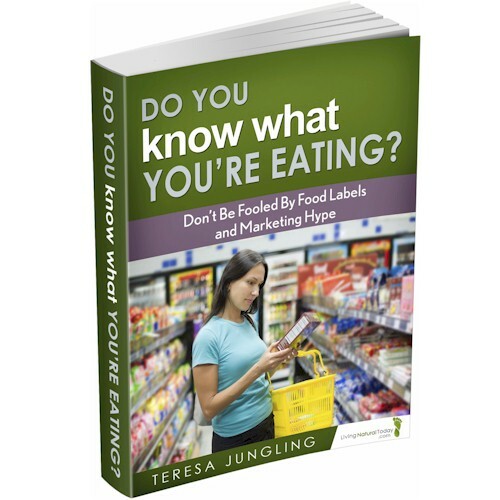 eBook: Do You Know What You’re Eating? Are there toxins in the food you eat? You better believe it! Want to tackle minimizing those toxins head on? In this ebook, receive practical & actionable strategies that can be implemented to begin minimizing toxins in the kitchen – simply by understanding food labels, standards, and more. Master the Grocery Store Aisles – Don’t Be Fooled By Food Labels! We prepare and eat food that contains GMO’s, MSG, artificial colors, preservatives, High-Fructose Corn Syrup (HFCS) and more. In this ebook, receive practical & actionable strategies that can be implemented to begin minimizing toxins in the kitchen – simply by understanding food labels, standards, and more. Discover the amazingly simple things you can do to avoid wasting money at the grocery store. Learn of additional ingredients which may be lurking in your food. Confused about food labels? Learn the difference between “Natural” and “Organic” and why it matters for your family.